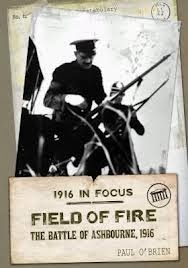 Field of Fire – the Battle of Ashbourne. Paul O’Brien. New Island Press, Dublin. 2012, pp 108. I read this in one session. It is the most detailed description of the exploits of the 5th Fingal Brigade under the command of Thomas Ashe during the six days of the 1916 rebellion. The 5th Brigade was established outside the City in the more rural part of North County Dublin. The book’s principal chapters, as is evident from the title, provide details of the Battle of Ashbourne which took place during the Friday, the day of Pearse’s surrender to the British. The surrender took place unknown to the members of the 5th Battalion. The battle lasted about four hours in all and was by far the bloodiest of the many events which took place in 1916. I believe that O’Brien’s account is the most detailed description of the battle which has been published so far and it reminds us that the event was the forerunner of the guerrilla tactics which were to be adopted by the IRA during the subsequent War of Independence. O’Brien describes the details of the battle and the confusion and frustrations of the 60 odd armed RIC police faced with the highly unconventional methods adopted by the fewer and more lightly armed volunteers who harried them from the cover of hedges and ditches on each side of the roadway occupied by the police in their vulnerable motorcade. The adjacent police barracks, which was being attacked by the Volunteers at the time of the arrival of the cavalcade of armed RIC men, was occupied by about 15 heavily armed colleagues but for some extraordinary reason they failed to assist their colleagues arriving unexpectedly from Slane in Co. Meath. They seem to have adopted an entirely defensive role in the barracks during the entire battle. 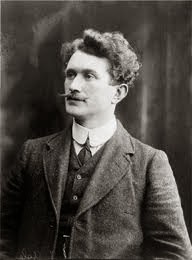 Richard Mulcahy’s initiative, as Ashe’s second in command, in remaining to fight the police despite their obviously superior forces and his direction in leading the attack is clearly presented while Thomas Ashe receives equal mention in accepting Mulcahy’s initiative despite Ashe’s first reluctance to face such unexpected and superior forces. There are a number of photos of interest including portraits of some of the leading members of the Brigade. There is no doubt that the Battle of Ashbourne was an outstanding example of an effective response to conventional military maneuvers in the context of the Irish countryside with its extensive cover provided by heavy hedgerows and hedgerow trees and particularly by assailants with local knowledge of the area. Ashbourne was the precursor of the successful tactics necessarily adopted by the IRA during the later War of Independence. 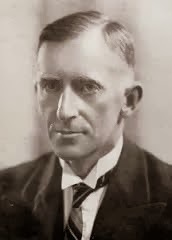 It was a confirmation of Bulmer Hobson’s contention, as a leader of the IRB, who differed with his close colleagues on the wisdom of 1916. His approach to Irish independence was civil disobedience followed, if necessary, by guerilla warfare. Like his colleagues who were passionate about Irish independence and who were glad to die for it, he had a more pragmatic and more effective way of reaching the same goal. 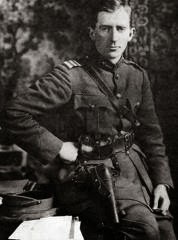 His refusal to take part in 1916 was considered by some to show lack of courage and lack of patriotism; I thought, reading of his decision, it was due to his pragmatic and more intelligent approach to solving the affairs of Man. On a more personal note, I often wonder how my father, who was all his life firmly committed to his Catholic upbringing, who was a daily attender at mass and devoted to such ceremonies as evening benediction and weekend retreats, could reconcile his profound belief in the Church with his involvement in the killing of nine innocent policemen, the loss of three of his IRA comrades and the numerous injuries inflicted on many others. Like most other volunteers he must have had little idea that the ‘maneuvers’ which were described as the object of the 1916 weekend would lead to such dramatic and unprecedented events. Would he have refused Seán McDermott’s insistence that he must remain in Dublin for the weekend despite his intention of visiting his father in Ennis at the time? Why did he refuse to attend the unveiling of the Ashbourne memorial by the President of Ireland, Seán T. O’Kelly in 1959 despite my plea and that of my mother that he should be there? I often think that his crucial participation in Ashbourne may have later preyed on his mind. I am aware that subsequently, as head of the army during the Civil War, he was responsible for the execution of some of the irregular forces but here he was clearly committed to the survival of the Treaty, to maintaining the democratic institutions of the State and he had the backing of the Cabinet. He was willing to go to such ends to maintain the Treaty and to protect the members of the Dáil and the other prominent supporters of the settlement who were under threat of assassination by Liam Lynch and de Valera. I might have thought that his reluctance to attend the ceremony may have been related to the role of O’Kelly who was a leading politician who rejected the Treaty in 1922. O’Kelly was married to my father’s sister in law, Phyllis Ryan, and was then in the last year of his 14 years as President of Ireland. By 1959 there was a complete reconciliation between our families and, although the reconciliation may have not been as cordial as in a normal extended family, it allowed my father to attend many family functions organized by Phyllis at Aras an Uachtarán where he was always cordial to the President as was the President to him.